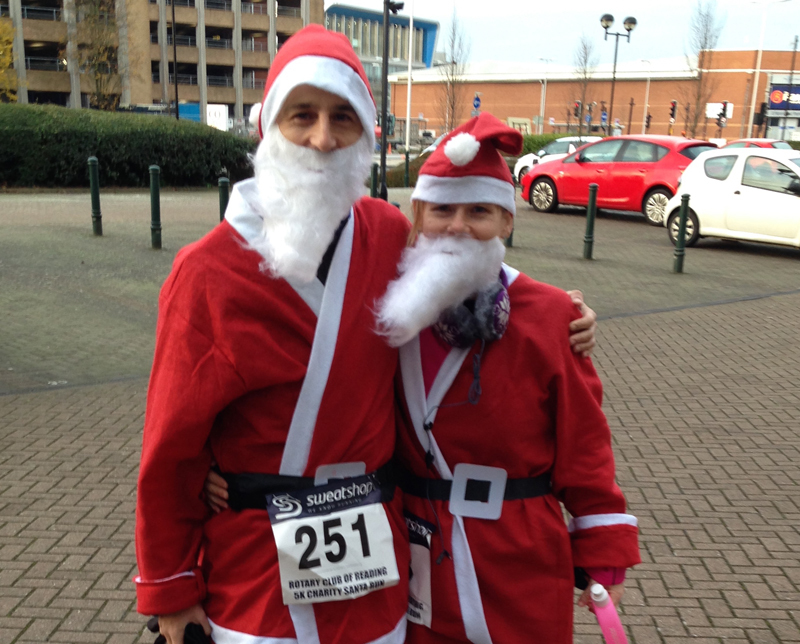 I took part in the Reading Santa Run today. 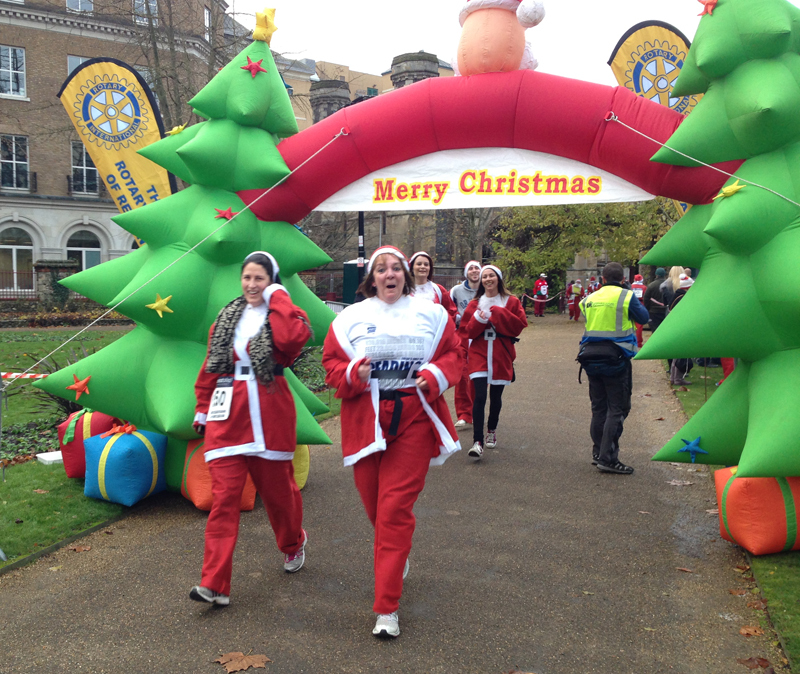 The event is a charity based 5k event around the centre of Reading and is part of the Santa Dash charity runs which take place all over the country. We had a number of runners (about 20) taking place from my workplace which has a partnership arrangement with Alexander Devine, a children’s hospice who were one of the supporting charities for this event. As it was primarily a fun run based event, I’m not sure of the exact number of participants but would estimate there were at least 500 people (maybe more) dressed in Santa outfits ready for the start of the race. I decided to enjoy a brisk run and started somewhere near the front and dashed around the cold streets of Reading which thankfully wasn’t too busy with Xmas shoppers at 9am. A school boy error meant a shoe-lace stop after a mile and there were several adjustments of the santa suit on the run but I survived and finished in 19.44 which was actually a new 5k PB (have to admit my Garmin recorded it as short but may not be 100% accurate as there were several tight turns). However, before I started to feel too smug I realised this was still a slower pace than Paul Navesey ran on his world record treadmill effort the day before… over a distance of 50km. I ran back to meet Sally-anne who was also taking part in the event and we jogged the last km together to the finish and hung around to cheer on the other runners and finishers before (in typical ultra runner fashion) eating a massive hot dog and then jogging home. It was an enjoyable fun run and hopefully raised some money for some worthy causes. Oh, I should mention the goody bag also included Branston Pickled flavoured Mini-Cheddars and whoever invented this flavour is a genius.